Magento is a great tool for managing your product catalogue, categories, customers and checkout. However, there is a huge gap when it comes to stock management. To fix this problem, you must use a third part software (an ERP) that will properly manage stocks. However, such a solution requires synchronisation between Magento and your ERP system. The solution is our Embedded ERP: a Magento extension that enhances stock management in Magento, you don’t need any other software, everything is done within the Magento admin panel. So there is no synchronisation, easy training and will save you lots of time. Embedded ERP is the ERP the solution with the best ROI ! Each product can be monitored in one or several warehouses : for every product / warehouse association, our Embedded ERP has the following features for product stock management, preferred stock level, low stock alert threshold, physical stock, virtual stock, shelf location and much more. 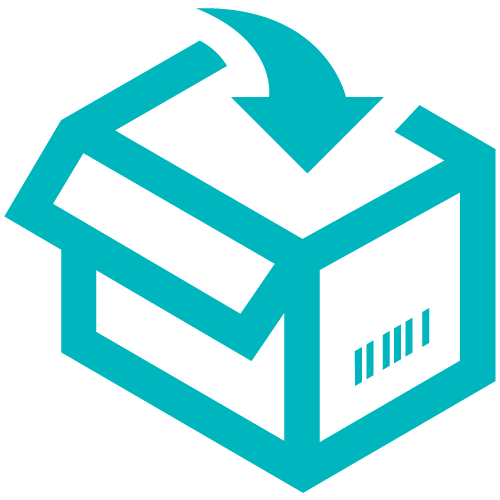 Each warehouse can be assigned to its own or to multiple websites. This defines if a product is saleable on the website and whether orders are fulfilled from this website or another. Every time stock levels change within a warehouse, a stock movement is created to keep track of the products stock level. The majority of the stock movements are created automatically (when you received a purchase order, when you ship an order, when you put a product back to stock from a RMA…) . You can override the system to manually when you have exceptional cases for example: damaged products, loan / hire of an item or inventory error. You can also define the reasons for a manual stock movement. 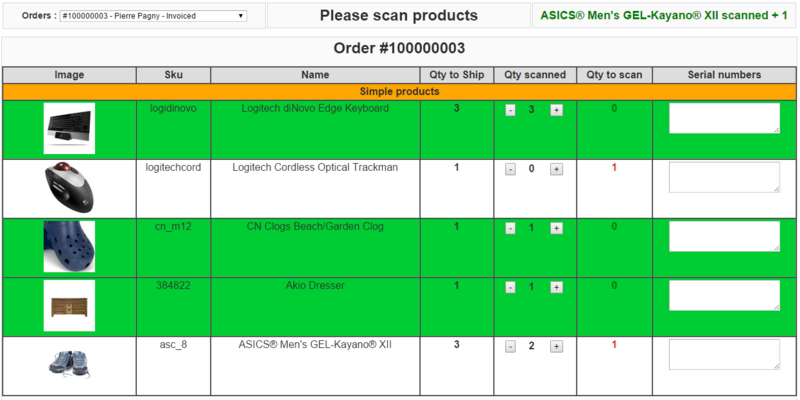 Delivery : when a purchase delivery arrives, simply take your handled scanner, select the purchase order on the screen and read all products barcode. Once you’re done, the “create delivery” button will update stock levels according to your reads. Picking : once logistic operator has selected orders to full fill, he needs to pick product in warehouse to pack orders. To help him to be more efficient and select the right products, the picking menu on handled scanner display all necessary products sorted by shelf location. Embedded ERP is a set of Magento extension to manage from you back office all your stock, purchasing and logistic processes.